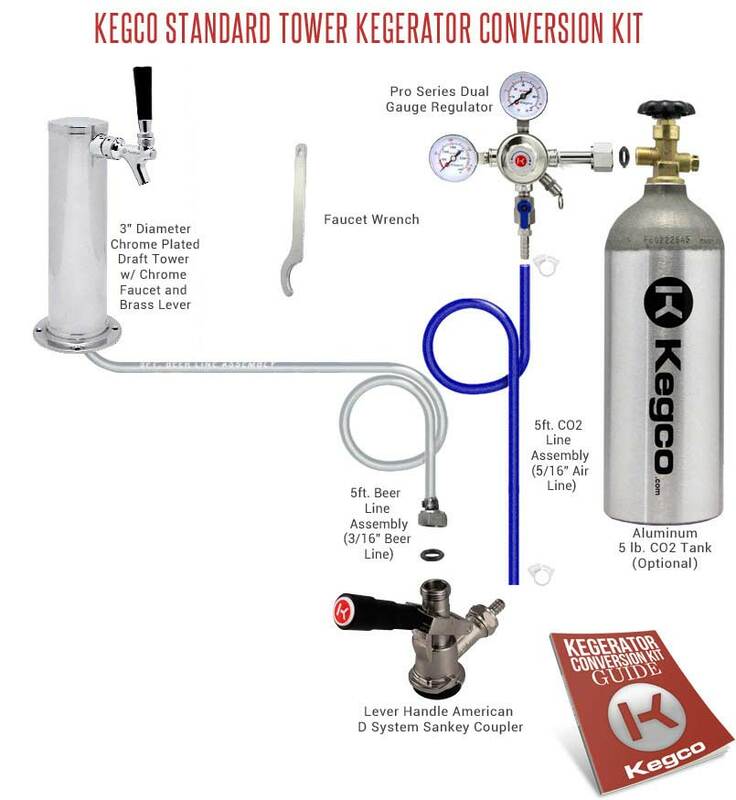 Now every do-it-yourself beer lover can have the tools they need to turn their compact refrigerator or freezer into a high performance kegerator, thanks to Kegco's Standard Tower Kegerator Conversion Kit. With brand new, high quality draft beer components and exciting features like a durable and long-lasting lever handle coupler and a dual gauge regulator that allows you to monitor both CO2 pressure in your keg and CO2 volume in your tank, you can quickly and easily have all of the perks of a professional dispense system in the comfort of your own home. Finishing touches like the beautiful 3" diameter chrome plated metal draft tower with matching chrome-plated faucet and a sleek black faucet knob are sure to make your new kegerator a stylish addition to your kitchen, home bar, or game room! Featuring a beautiful chrome-plated metal finish and a matching chrome-plated faucet with metal lever, this 3" diameter air-cooled draft beer tower is the same stylish tower used on most commercial grade kegerators. This tower conveniently includes 5 feet of clear beer tubing ending in a nozzle and hex nut assembly for quick connection to all standard keg couplers, as well as a gasket and for screws for easy mounting. Comments: Works great...all went together perfect, looks and works like professional equipment. Money well spent. 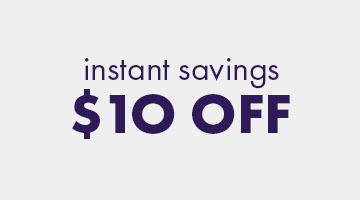 Easy Conversion. Took less than 2 hours. Comments: I bought this kit after months of debating on going through with a kegorator conversion. My wife found an old mini fridge that was perfect and bought it for me which spurred me to buy. It took less than 2 hours on the whole project, including cutting the door to fit the keg and drilling the holes for the tap. That night I was enjoying my first beer. After tweeking the co2 over the next few days I got my beer at just the right temp and carbonation. I would recommend this kit to anyone who wants to come home to a fresh beer on tap. The tower looks professional and people think I bought the unit as a whole and not as a kit. The one downside was it said instructions were included but I could not find a book in the box I was shipped. However, I found the instructions online with a quick search. Comments: I ordered this conversion kit on a Saturday evening and it was delivered the next Friday afternoon. So 5 business days, not too bad. I installed this kit in my tailgate trailer. All the components seem to be good quality. I am pleased with the way the tower looks and performs, although I removed the black handle and added a tall Bud Light lever. Works great everthing you need. Comments: Went together with no problems.